In Singapore, escrow accounts are used predominantly by solicitors in conveyancing transactions to control the flow of funds during various stages of the transaction. This article will look at the role of escrow accounts in conveyancing and the other purposes escrow accounts can serve. By understanding what the term means, you can better navigate and make informed decisions for your transactions or business dealings. Conveyancing broadly refers to the legal transfer of an object’s title from one person to another. The term is most commonly used in property transactions, where a conveyancing transaction means the transfer or grant of any estate or land upon sale, surrender, or mortgage. Property development companies, or the Housing & Development Board in the case of HDBs, will hire or have solicitors to oversee the conveyancing process when you purchase a property. Escrow accounts are a means for these solicitors to safe-keep the buyer’s funds during the sale of the property. Solicitors help to draft an escrow agreement, which states the terms by which money from the buyer will be released from the escrow account as payment to the developer. Such terms may include clauses regarding the timely completion of the property’s development, or any interest payable at various stages of the construction. Are Escrow Accounts Necessary in Conveyancing? Solicitors may have their own Conveyancing Account with a bank. This account is opened and maintained by the solicitor’s firm, and is solely dedicated to holding the buyer’s funds.Only banks approved by the Minister of Law are allowed to open these dedicated Conveyancing Accounts. Money received from any buyer’s CPF Accounts must also be separately deposited into a Conveyancing (CPF) Account.The movement of funds from these accounts cannot take place through ATM withdrawals, cheques, or telegraphic transfers. Only set Payment Forms may be used to authorise and document all payments. Solicitors may also opt to have the money deposited with the SAL’s Conveyancing Money Service. Here, the SAL serves as an “independent depository to both buyer and seller”.The SAL does not require any account opening, and payments can be made by cheque, cashier’s orders, cash, NETs, or credit cards. However, transaction fees at varying rates may apply. So then how are escrow accounts different from these means? Escrow accounts are not subjected to some of the provisions in the Conveyancing and Law of Property Rules 2011, nor does the Law Society have any explicit rules governing the operation of an escrow account. Notably, payments to Category B and C payees need not follow the prescribed instructions in the Rules. Buyers may want to clarify with the developer and their solicitor’s, or their own lawyer if the escrow agreement ensures the same level of security as Conveyancing Accounts are subjected to under the Rules. Given the independent nature of and fewer restrictions placed upon the escrow agreement, this allows solicitors to adjust agreements for more complex conveyancing transactions. Some buyers will also feel more reassured that an independent party is holding their funds as it introduces another gatekeeper to the transaction. Escrow accounts are also used in non-business transactions. For certain transactions or businesses, it may be legally necessary to employ services similar to that of escrow services. Alternatively, your business may want to use an escrow service to better ensure your clients’ security for their monies. You may view the list of appointed banks that provide escrow accounts by the Ministry of Law here. Industry standards or laws that mandate how transactions should take placeIt is also important to note that industry standards may change. For instance, as of Dec 2017 the Committee for Private Education has phased out escrow schemes in their Fee Protection Scheme requirement for Private Education Institutions to apply for the necessary EduTrust certification. Client’s preference for an escrow account or its alternativesThough escrow accounts allow for more complex payment schemes between your business and client, some clients may prefer setting up non legally binding methods, such as a joint bank account, for the transaction. Consulting services that the bank offersSome banks do offer consulting services to help businesses better understand the options available to them when constructing the escrow agreement. For example, they may provide the provision of multi-party escrow agreements, or have expertise on cross-border transactions. Do consult your lawyer to better understand if setting up an escrow account is the correct solution for your business or transaction. When discussing the use of escrow accounts, conveyancing transactions usually come to mind. We have seen that escrow accounts are just one of three options available to solicitors when securing the funds of buyers as required by the law. It may be useful to consult your lawyer or the developers on how your funds are and should be managed. If you intend to create an escrow account for your own business, you should also ensure the escrow agreement meets the industry’s and client’s expectations. If your transaction is a complex one, employing a bank’s escrow’s services may be beneficial for you in the long run. If you have any questions about escrow accounts, you can request for a quote with Parvathi Annanth or other lawyers. With Quick Consult, from a transparent, flat fee from $49, a lawyer will call you on the phone within 1-2 days to give you legal advice. This article is written by Parvathi Annanth from TJ Cheng Law Corporation and edited by Justin Lim of Asian Law Network. Par is a senior lawyer based in Singapore. She is a Barrister-at-Law called to the Bar of England and Wales and an Advocate and Solicitor admitted to the Supreme Court of Singapore. 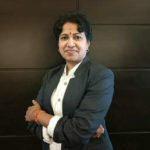 Equipped with her wealth of work experience as a Chief Executive Officer and as a qualified Education Officer, Par’s legal practice spans across administrative and constitutional law, employment law, civil and commercial litigation, family law, insurance law, immigration law, workers’ compensation claims and criminal law. After earning her Masters-in-Law in Cross Border Business and Finance Law from the Singapore Management University in the year 2018, she now largely focuses her practice in corporate work and cross border transactional matters. Par is effectively bilingual and is a Singapore International Mediation Institute (SIMI) accredited Cross Border Mediator. Her relationship-based mindset and results-driven style help her bridge cultures, making her cross-border work more effective and relevant. Her advocacy and negotiation skills are well demonstrated when she represented a Charity in their fire insurance compensation claim. The insurer had offered a compensation sum of S$49,000 only. But Par managed to secure the Charity a compensation sum five times the original sum when the case concluded as out-of-court settlement. Aside from her legal work, Par has also served the Law Society of Singapore in its various sub committees. She is currently serving in various societies and organisations and is an active community leader. Vietnam: May the buffalo sue the tractor?